The ancient caves of Udaigiri and Khandagiri are believed to be 2300 years old. They were dedicated to the Jain monks. The stone carving on these caves bears testimony to the exquisite craftsmanship of the stone sculptors. The 14th century structure of Barbati Fort is equally astounding. Though much is in ruins, the main gate and the moat tells of the ingenious way the Fort was constructed to keep enemies at bay. Nine Planet's Shrine is more inclined to nature especially Surya or sun god rather than any specific Gods or Goddess in the Indian mythology. The chlorite slab of stone forms the center of the main shrine. 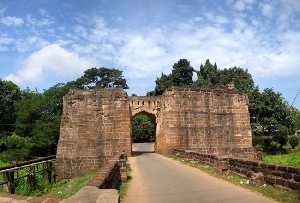 As is evident each of these Monuments in Orissa have a significance of its own. Buddhist Monuments in Orissa which consists of Lalitgiri, Ratnagiri, and Vishwa Shanti Stupa. These Monuments also tell that that Orissa was a melting pot of many cultures and race.